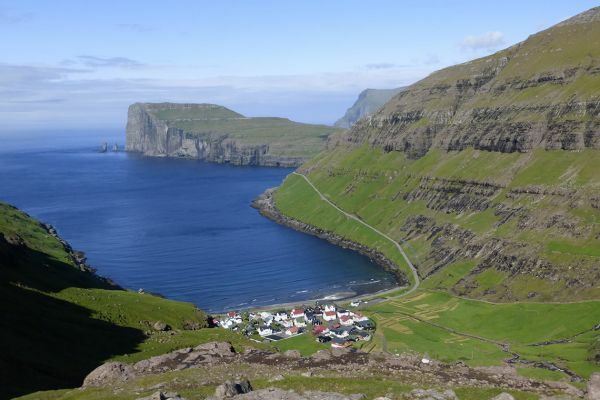 The Faroe Islands lie 200 miles north of Scotland and at latitude 62°N in the North Atlantic Ocean. 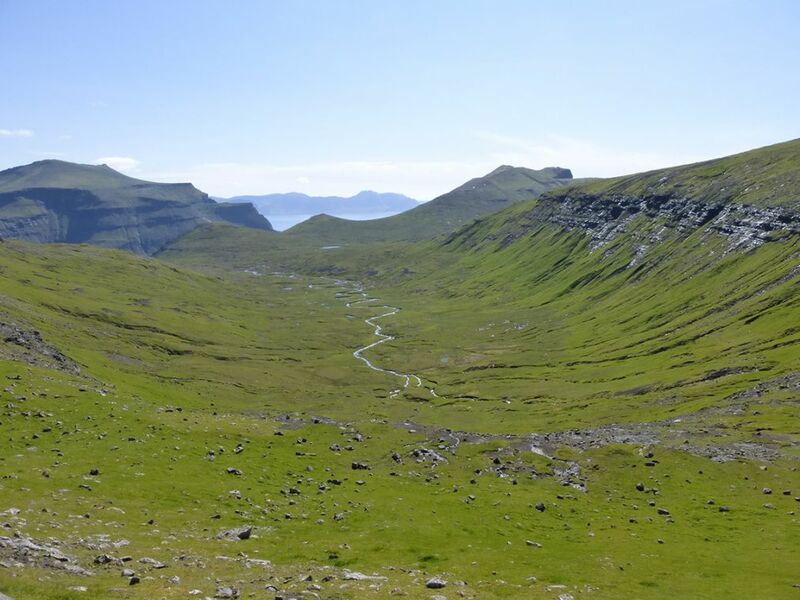 The weather, though warmed by the Gulf Stream, is notoriously changeable and never truly warm, but for the intrepid traveller the Faroes present stunning scenery, clean air, some marvellous walks and welcoming people. During our week’s stay, we visit 5 of the 18 islands of this remote archipelago, an autonomous country within the Kingdom of Denmark. We stay in the best available hotels, always well heated and with en suite facilities. With 2 Kudu tour leaders, we offer a daily choice of walks: longer walks (times as specified) for those keen to cover ground and appreciate the scenery, and shorter walks, at an appropriately slow pace, for the less energetic or those especially interested in wildflowers and birdwatching. 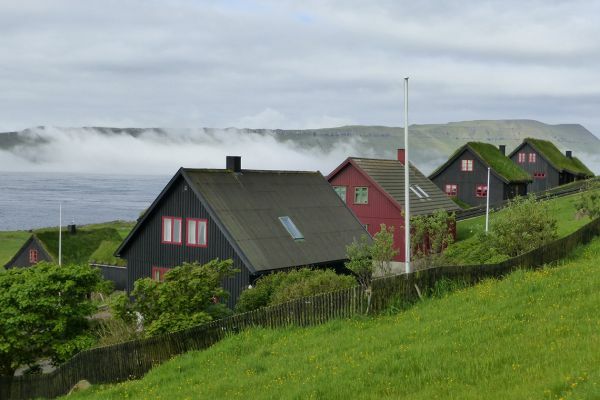 If you are looking for more flexible tour arrangements in the Faroe Islands, why not check out offers from our colleagues at Baltic Travel Company on https://www.baltictravelcompany.com/faroe-islands/. 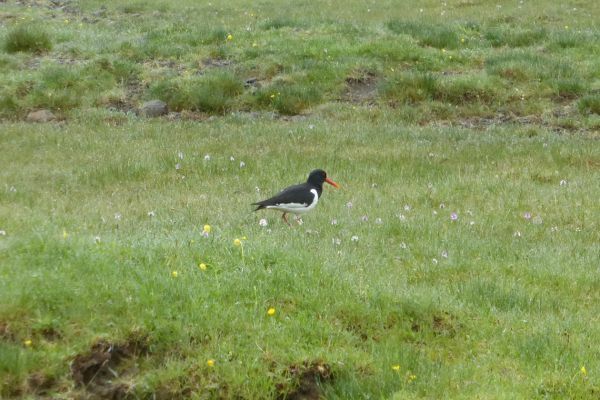 Meeting in the afternoon at Vagar airport on the eponymous island, we transfer to the nearby comfortable modern hotel, our base for 2 nights while exploring the western part of the archipelago. At this northerly latitude in midsummer, the sun sets for only a few hours and we can enjoy views of the surrounding dramatic landscape late into the night. 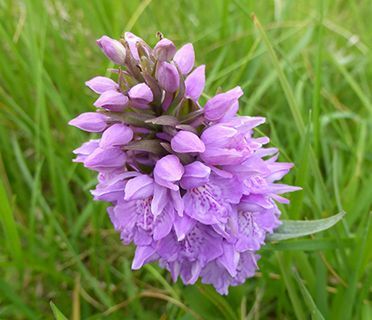 Close by there will be sheep grazing on grass scattered with hundreds of Heath Spotted Orchids and it won’t be long before we spot our first oystercatcher. 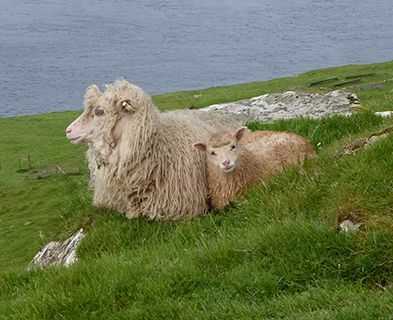 A 45 minutes’ ferry ride takes us beyond the uninhabited island of Tindolmur (with 262 m sheer cliffs) to Mykines, the Faroes’ most westerly island. En route we begin our observation of fulmars, puffins and gannets in large numbers. 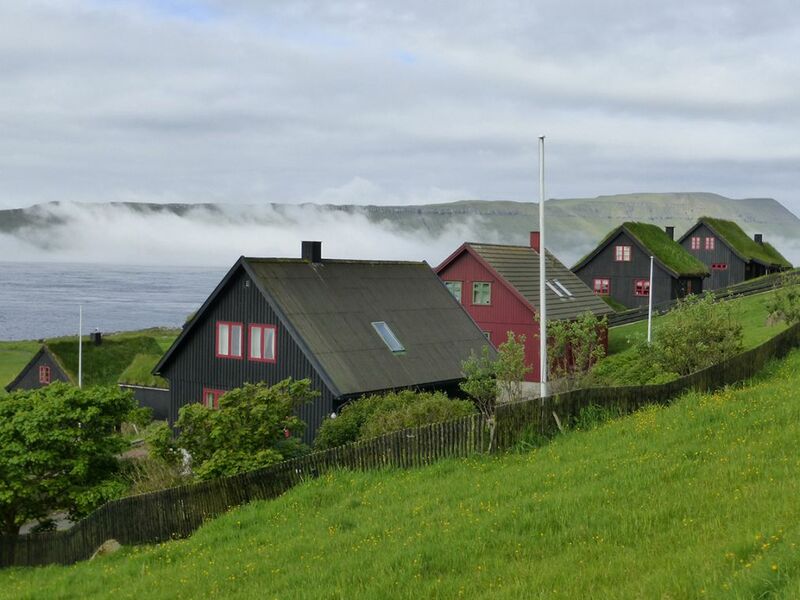 From the harbour, surrounded by cliffs full of kittiwake nests, we walk up to the small picturesque village, the only settlement on the island, with bright-coloured timber houses and turf roofs. We continue west towards the lighthouse on the neighbouring island of Mykinesholmur, across the footbridge connecting the two islands (4 hrs round trip, some parts are steep - the height difference is around 100 m and we climb it 3 times during the day). 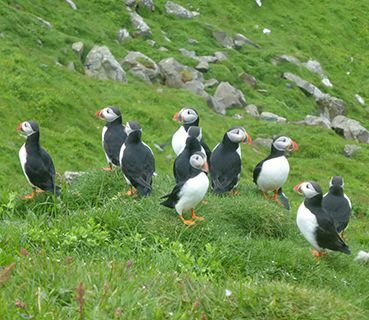 We see puffins everywhere and have to tread carefully to avoid stepping into one of their many burrows. In the morning, we walk along the shore of the Sorvagsvatn Lake and observe its water fall to the sea some 30 m below (2.5 hrs round trip). In the nearby small museum, we learn the history of the ‘friendly occupation’ of the Faroe Islands by Britain during WW2 before driving to the remote hillside village of Saksun on Streymoy Island (1 hr). 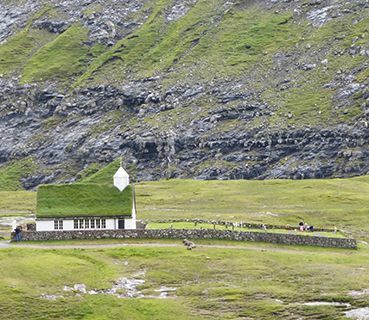 The 19C stone church set dramatically above a lagoon and black sand beach is the starting point of our exhilarating walk to Tjornuvik (weather-permitting, 3.5 hrs, 700 m ascent and descent). Our final destination today is Gjogv in northern Eysturoy and our welcoming guesthouse built in traditional Faroese style. After breakfast, we set off on foot for the steep climb (400 m) to reach an isolated highland valley. 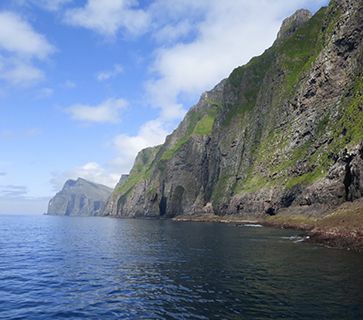 We follow the river downstream and hope to see Faroes’ highest sea stack off shore before returning to our picturesque fishing village for some free time in the afternoon. 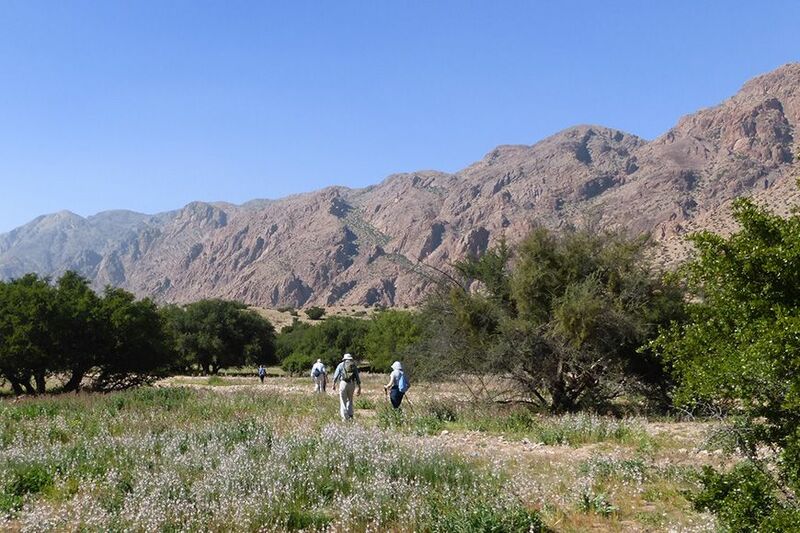 We have an opportunity to look at the way potatoes, turnips and carrots are grown in the rich volcanic soil to make the best of the short growing season or walk to the 200-m long sea-filled gorge which gives the village its name. We pause in Leirvik to see the remains of a 10C Viking farm before using an undersea tunnel to cross to the island of Bordoy. 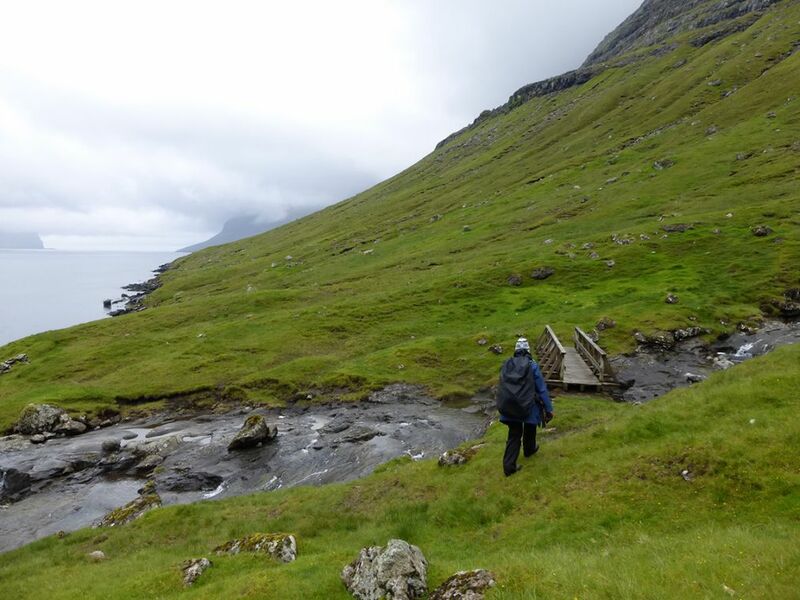 Our walk this morning follows the shoreline and, across the channel on Kunoy island, we see the abandoned village of Skard, a silent witness of a 1913 tragedy in which most of the male inhabitants of the village were lost in a vicious storm, while out fishing. After lunch in a popular bakery in Klaksvik, the second town of the archipelago, we visit the impressive Christianskirkjan (Christian Church) built in the 1960s in ancient Nordic style. 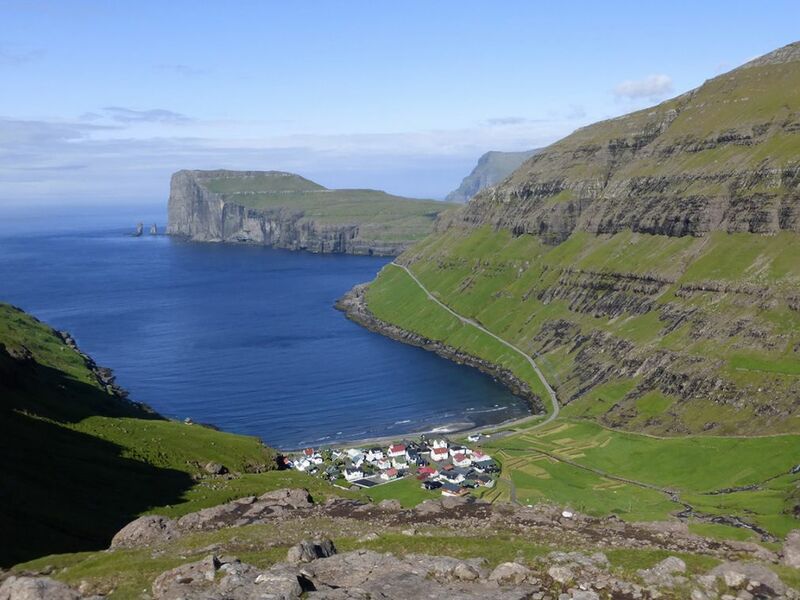 Later, we have the option to walk to the top of Klakkur mountain (413 m) for panoramic views of the town below, wedged between two bays and the surrounding islands. We spend the night in a comfortable hotel overlooking the harbour. 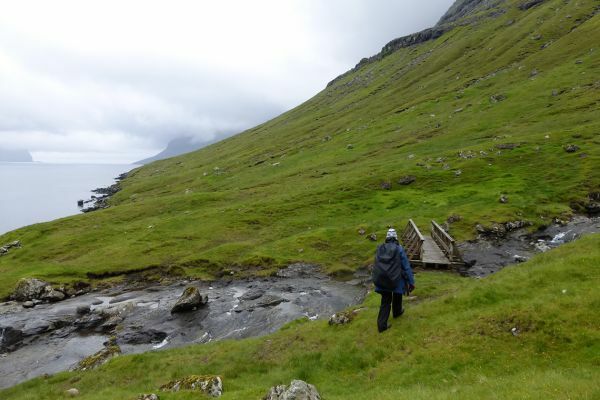 Back on Streymoy, we walk for 2 hrs in an area with several water reservoirs, used for generating hydroelectricity, before descending into Vestmanna, a busy fishing town by Faroese standards. We hear some blood-curdling stories from early Faroese history in the Saga Museum before we enjoy a classic fish soup for lunch. 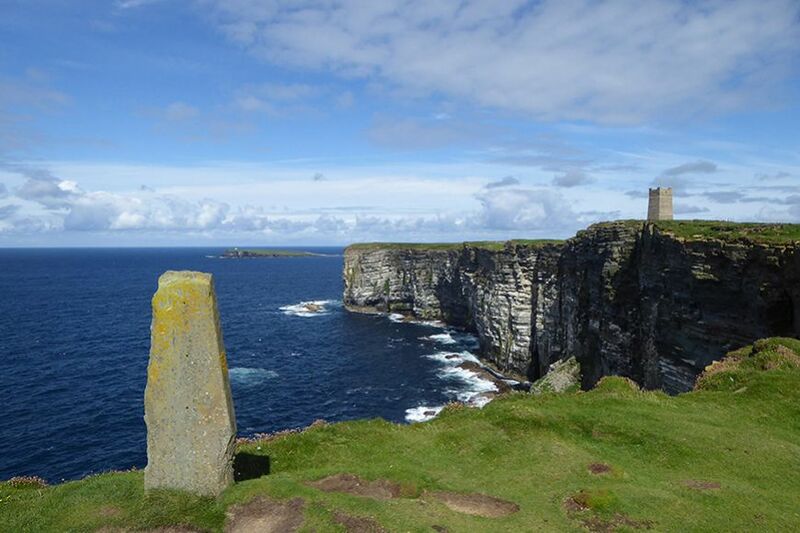 The highlight of our visit is the 2-hour boat trip to the bird cliffs and grottoes. The cliffs, which rise spectacularly hundreds of metres straight from the sea, provide nesting places for many birds including guillemots and razorbills. 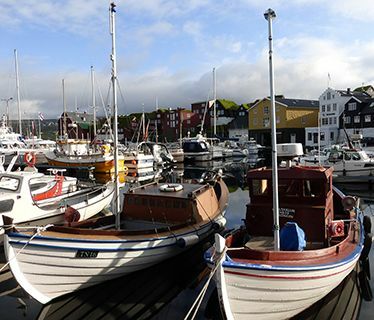 Afterwards, we transfer to the capital Torshavn, where we stay for 2 nights in a central 4-star family-run hotel with an excellent restaurant. We drive to Kirkjubor, the country’s most important historic site, centred on the unfinished 13th century Magnus Cathedral. 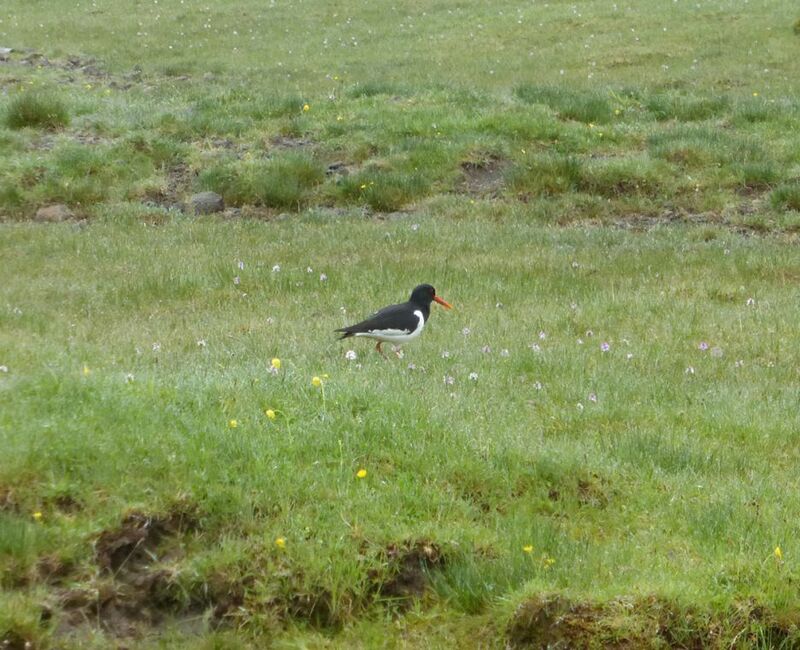 Our 2.5 hr walk takes us (250 m) over a ridge back to Torshavn where we have a café lunch in the lively harbour. We spend much of the afternoon in the Historical Museum with a wide-ranging collection. Our farewell dinner is representative of the New Nordic Cuisine, perhaps Braised Faroese Lamb followed by stewed rhubarb pudding with whipped cream. 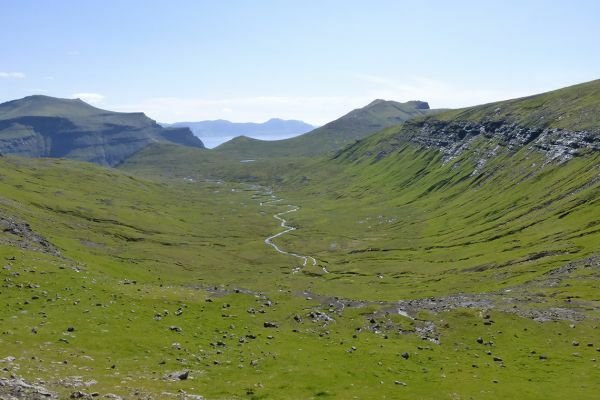 Our final, optional, walk starts at a pass on the old road above Torshavn and takes us mostly downhill to the sandy beach in Leynar (2 hrs) giving us a last chance to enjoy spectacular land and seascape views. Our journey concludes with a transfer to the airport. Please note that with 2 Kudu tour leaders, we offer a daily choice of walks: longer walks (times as specified) for those keen to cover ground and appreciate the scenery, and shorter walks, at an appropriately slow pace, for the less energetic or those especially interested in wildflowers and birdwatching. 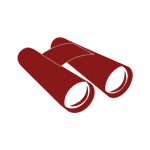 The above itinerary may be adapted according to group fitness and local weather conditions: the final choice of walks, based on group comfort and security, rests with the tour leader. 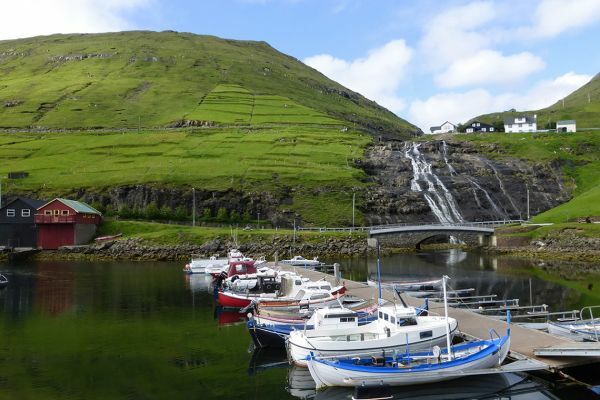 Visitors from the EU, US, Canada, Australia and New Zealand currently require a valid passport, but not a visa, for entry to the Faroe Islands. If you are a national of any other country, please check visa regulations with your nearest Embassy of Denmark, specifying that you are enquiring about entry to the Faroe Islands. 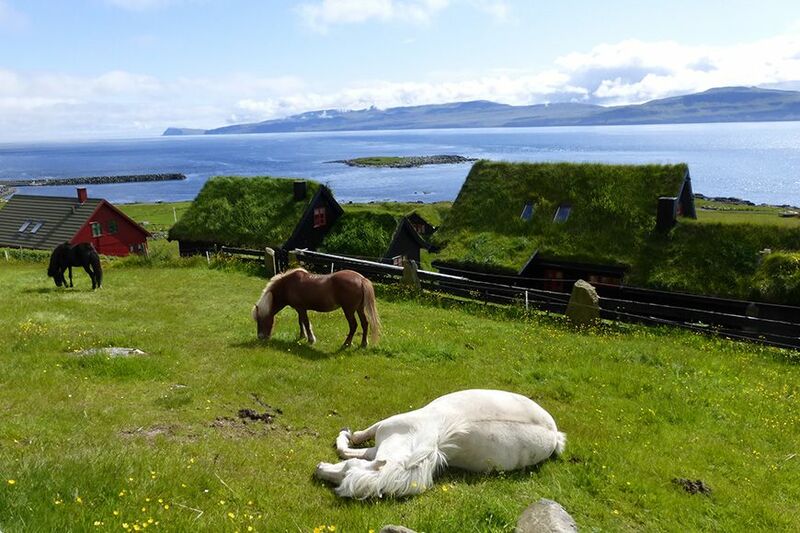 At present, there are no specific and compulsory health requirements for entry to the Faroe Islands. You may also wish to check the advice given to travellers by the Department of Health and the FCO. 7 walking days, 2 – 6 hrs daily. Full waterproof gear is essential. Paths are mostly not clearly defined and often wet and muddy. 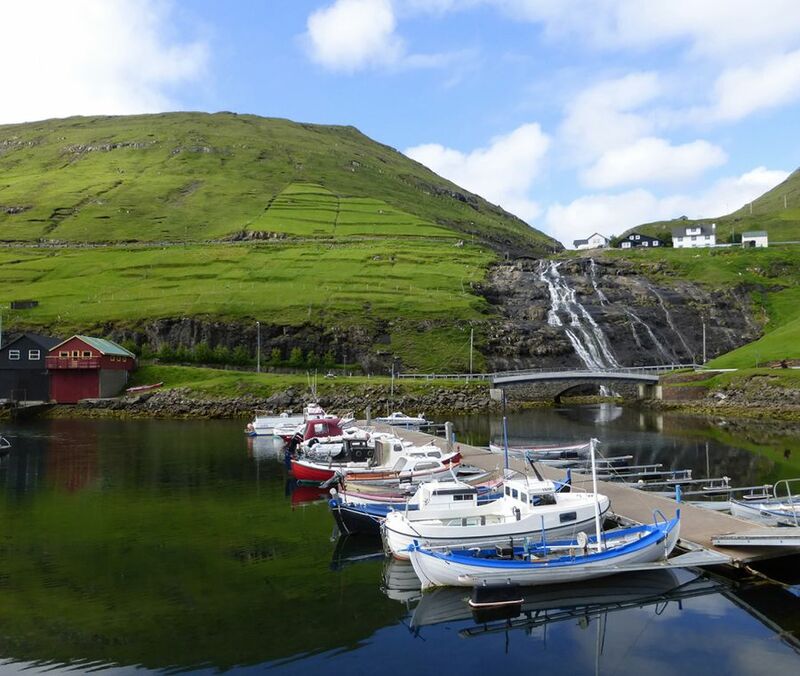 July temperatures on the Faroe Islands reach 10°C – 14°C during the day, though the direct sun can feel warmer. July is amongst the months with the most hours of sunshine and least rain.